Madhya Pradesh, India’s second largest state, is set to unveil its action plan on antimicrobial resistance (AMR) that takes the environment and food sector into consideration. Antimicrobial resistance is an important environment as well as a public health issue. Hospital effluents and antibiotic use in livestock and poultry are on the radar of the Madhya Pradesh government. With World Health Day coming up on April 7, this story takes a look at the state’s ongoing initiatives for AMR containment which are aligned to the country’s national action plan and global action plan on antimicrobial resistance. Following in Kerala’s footsteps, Madhya Pradesh, India’s second largest state will roll out its action plan on antimicrobial resistance (AMR) containment with emphasis on treatment of hospital effluents and restricting the use of antibiotics in livestock and poultry. In the central Indian state, initiatives for AMR containment, aligned with the country’s national action plan and global action plan on antimicrobial resistance, are already in action, including an Indo-Swedish collaboration on antibiotic stewardship on infection prevention and control and wastewater treatment. “Awareness generation on the rational use of antibiotics among the public and stakeholders and surveillance in human, animal/food and environment sectors, for evidence-informed policy-making, are key points in the six priorities of our plan,” Pankaj Shukla of the Directorate of Health Services, Madhya Pradesh, told Mongabay-India. The draft of the Madhya Pradesh State Action Plan on Antimicrobial Resistance Containment (MPSAP-ARC), accessed by Mongabay-India, pivots on priorities such as reducing the incidence of infection through effective infection prevention and control (IPC), optimising the use of antimicrobial agents in health, animals and food and promoting investments for AMR activities, research and innovations for AMR containment. The launch of annual antibiogram reports, compiling the susceptibility profile of clinically significant pathogens to a variety of antibiotics, by All India Institute of Medical Sciences (AIIMS) Bhopal, is a step towards fostering the antimicrobial stewardship program. Antibiotic stewardship refers to a set of coordinated strategies to improve the use of antimicrobial medications with the goal of enhancing patient health outcomes, reducing resistance to antibiotics and decreasing unnecessary costs. Six strategic priorities of Madhya Pradesh’s AMR containment plan. Photo from AMR containment draft plan. Shukla believes with the plan coming into effect soon (in April), the state will hit-the-ground-running to tackle antimicrobial resistance. One of the sources of antibiotic resistance development is the presence of antibiotics in the environment, which generates foci of resistant bacteria through bacterial exposure to antibiotics. And despite Madhya Pradesh consistently topping government conducted-survey for cleanest Indian cities, scientific evidence has emerged on the “unseen” problem of antibiotic pollution. 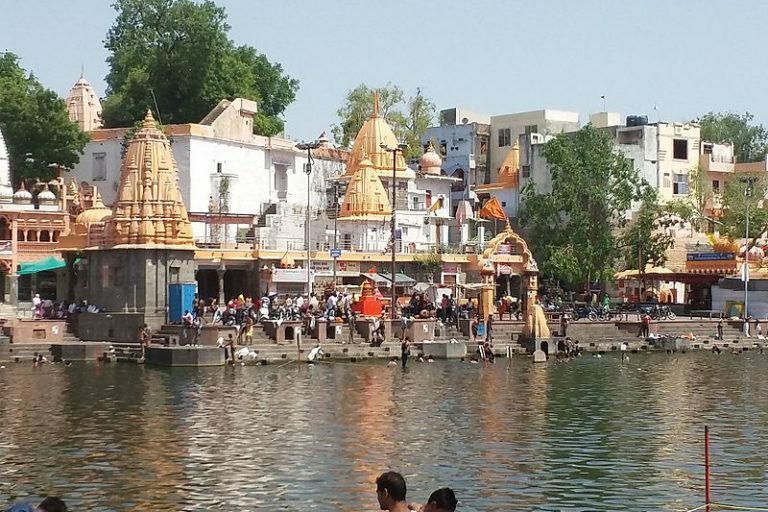 Over the years, scientific data has documented pollution of water by antibiotics and the presence of antibiotic-resistant bacteria/resistance genes in Madhya Pradesh’s rivers such as the Shipra river, considered holy among masses, specifically in the context of coliforms and E. coli. Examination of hospital effluents in a 2009 study has unearthed presence of widely used drugs such as metronidazole, norfloxacin, sulphamethoxazole, ceftriaxone, ofloxacin, ciprofloxacin, levofloxacin and tinidazole. It is argued that antibiotic residues in the aquatic environment are dilute compared to their levels in therapeutic applications and so may be harmless. “However, exposure to concentrations below subtherapeutic level over long periods of time may be an ideal condition for selection and consequent spread of resistance,” according to the study led by researchers from Department of Environmental Medicine, R.D. Gardi Medical College, Ujjain, Madhya Pradesh and Karolinska Institute, Sweden. Vishal Diwan, an associate professor in the Department of Public Health and Environment at R.D. Gardi Medical College, observed that the present focus of antibiotic resistance (in the country) is still on clinical settings while antibiotic resistance in the environment is a low priority because of lack of evidence and awareness. Diwan is part of the research group at the medical college that has worked in the area of antibiotic resistance for over a decade. 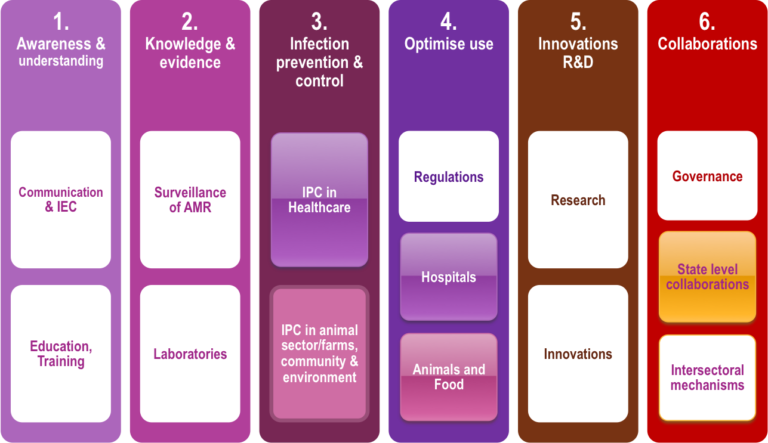 The focus is on all aspects of antibiotic resistance in hospital, community and environment. He believes addressing issues related to antibiotic resistance needs integration of multiple approaches (clinical, environment and behaviour). “Surveillance of infections /resistance is required not only in clinical settings but also in the environmental setting. It is the need of the hour. Policy makers, academics, media also need to focus on the environment component as well as it plays an important role in spreading of antibiotic resistance,” Diwan, also a researcher at Karolinska Institute, told Mongabay-India, in an email interaction. The Shipra river, Madhya Pradesh. Photo by Shruti Lata/Wikimedia Commons. Modifying human behaviour remains a key underutilised and critical avenue for tackling antibiotic misuse as well as limiting the spread of antibiotic resistance genes from its many sources, Diwan said. “Our qualitative studies on hand hygiene and waste management reveals that there is a gap between knowledge and actual practice. The focus should be on organisational changes, training and monitoring to address this,” Diwan said. Pankaj Shukla maintains the state’s emphasis on surveillance in environment and animal sectors would bolster efforts to limit exposure of water bodies to antibiotics and resistance genes so that public water facilities are not affected. The draft plan underscored that AMR surveillance in “animals is as critical as it is in human health” since food of animal origin also represents the major route of human exposure to foodborne pathogens. Pursuant to that, the plan calls for improving appropriate use of antimicrobials in animals and agriculture, especially in fodder and fodder land and restricting the use of critically important antimicrobials in animals, fisheries and agriculture. “The problem is with excreta of animals and poultry which is drained into water bodies. So far, the state food and drug development department has agreed to test livestock, poultry and fish food for the presence of antibiotics,” Shukla, the state nodal officer for quality assurance in National Health Mission, said. The CSE has pointed to large-scale unregulated use of antibiotics as growth promoters in the poultry industry. In a study in New Delhi and National Capital Region, the CSE said that 40 percent of the chicken samples had antibiotic residues and more than one antibiotic was found in 17 percent of the samples. According to the National Institute of High-Security Animal Diseases in Bhopal, Madhya Pradesh, increased protein demand in India has resulted in intensive farming coupled with antibiotic use. “Laws are needed to regulate the indiscriminate use of antibiotics in poultry as farmers use antibiotics as a stopgap measure instead of adhering to better hygiene and sanitation,” the draft plan notes, adding there is currently no disease occurrence in fish culture reservoirs and growth promoters are not applied in fish culture reservoirs. Amit Khurana, programme director of CSE’s food and toxins unit believes the use of antibiotics (in animal husbandry) that are considered critically important for humans should be phased out. CSE has consistently advocated a complete stop to the use of antibiotics as growth promoters in food animals. “All states should develop and implement their own action plans on AMR,” he said. Buoyed by Kerala’s emphasis on organic farming, Shukla is also hopeful of the prospect of organic farming positively impacting AMR containment efforts. Madhya Pradesh has over 1.48 lakh hectares of area under organic farming, the largest share of area under organic farming in the country. “Antimicrobial resistance is a public health as well as an environmental issue and we plan to deal with it multi-sectorally,” added Shukla. 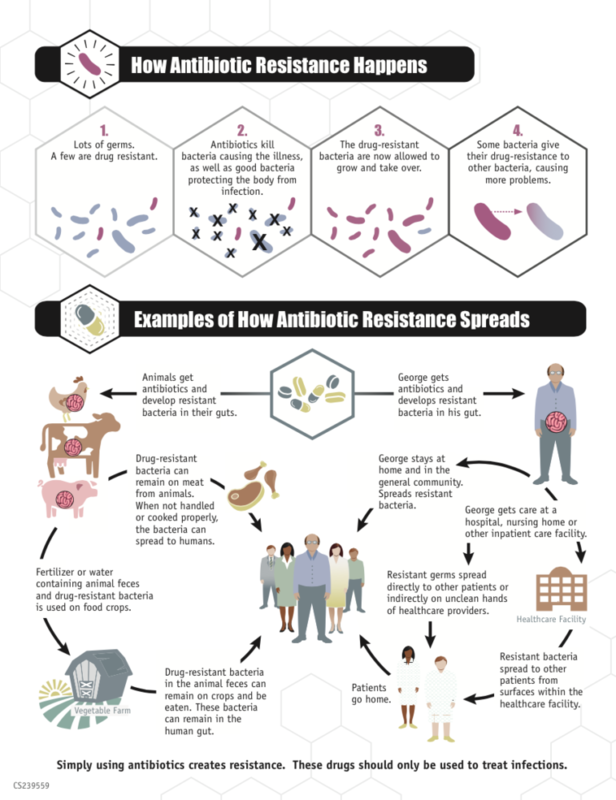 Antibiotic resistance infographic. Photo by CDC. Banner image: The ‘Superheroes against Superbugs’ programs aim to engage with the general public at all levels of society to increase our understanding of antibiotic resistance, improve awareness of this global threat, change our behaviour and build a society of smart antibiotic users. Photo by Superheroes against Superbugs/Wellcome Trust/DBT India Alliance.